Crank more miles out of your workshop! Experience the power and efficiency our online management software can bring to your service shop. Let your customer book their next bike service at their leisure. Online booking for your shop is available anywhere, from any device, 24 hours a day, 7 days a week. Clients can book their appointment in seconds. They never need to create an account or install an app. It couldn’t be any easier to do business with you! Your clients will love the convenience of booking online, and you’ll love the time saved talking on the phone, and hand writing work orders and tags, and maintaining an appointment book. Automated appointment reminders sent via email and SMS dramatically reduce forgotten appointments and missed opportunities. Notify customers when an appointment, order or warranty claim has been completed with just the click of a button. Communicate with your customer’s in real time, directly through the web browser, using our built-in SMS text messaging software. 2-way communication system to build strong customer relationships that compliment your shop’s superior products and rock solid service! 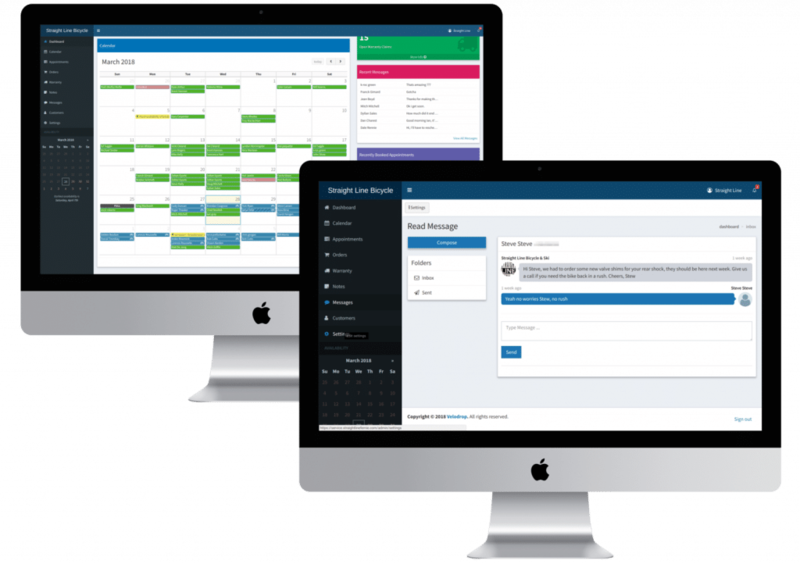 Our smart management software gives you the power to control your employees schedules and appointment availability, so your bike shop can run efficiently and at full capacity, while avoiding overbooking. Book, reschedule or track missed appointments, take notes, track special orders and warranty claims and automatically send reminders and done notifications via SMS and email. Your shop’s data is securely stored in the cloud and available from any device, at any time. making it possible to check the day’s work load from home, take customer’s appointments from any computer in the shop, or even set up a self serve kiosk allowing customers to book them selves on site. Imagine the possibilities! Velodrop integrates smoothly with Lightspeed Retail. 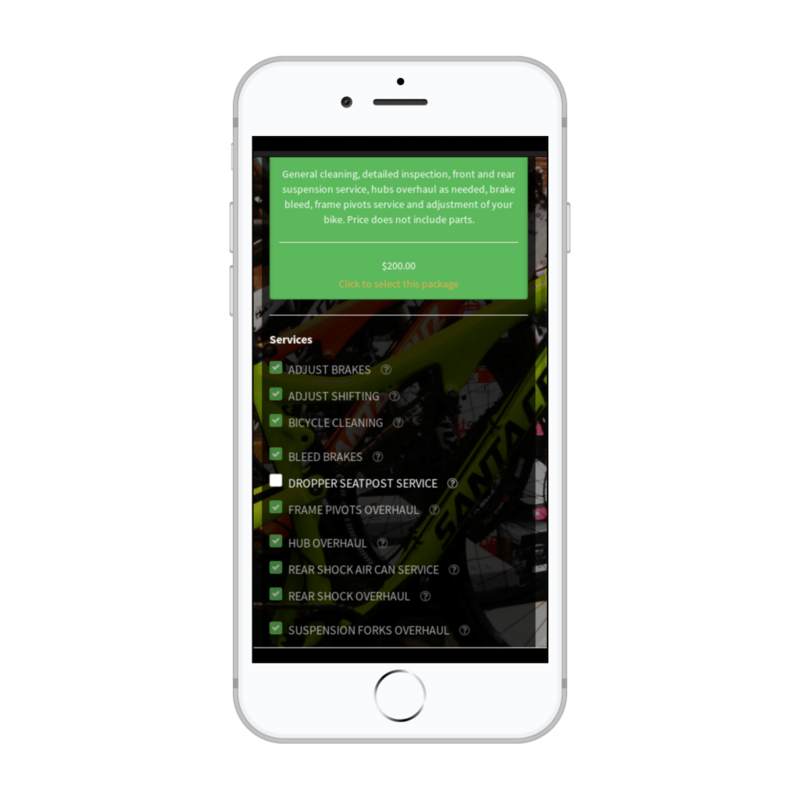 Just like Velodrop’s workshop management software, Lightspeed’s cloud based point of sale software has been purposefully designed with independent bike retailers like you in mind.